We are located in the very downtown of Budapest on the main boulevard of the city close to the metro tram and train station. Within walking distance there are several supermarkets, many good restaurants, pubs, clubs and shops available. PLEASE NOTE: Our new, Deluxe 2 bed apartment has different location! See below. This place is a perfect starting point for your day out as many of the city's main sights are in our neighbourhood like the House of Parliament, Margaret Island, St Stephen's Basilica and Lukacs Thermal Bath. All the others are easily reachable by public transport. Please note that there is no 24-hour reception therefore we ask you to inform us about the time of your arrival and also about your cell nr. You can also call us one day prior arrival to let us know the exact time. We are providing lockable, PRIVATE ROOMS (no bunk-beds) on 2 floors, 2 shared bathrooms, 2 shared kitchens, a common room and a nice rooftop- terrace, where you can relax after a busy day. 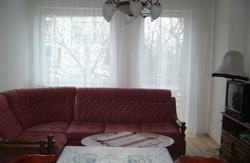 Most of the rooms are quite spacious and very bright due to their big windows. 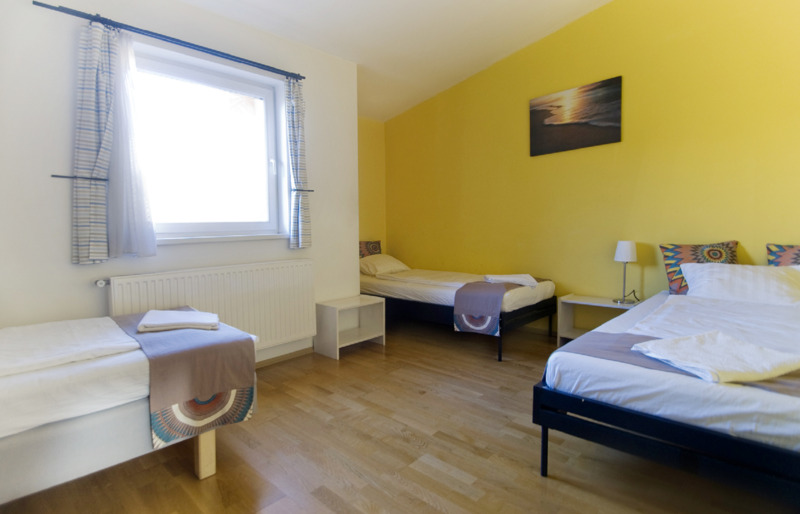 Some of the rooms have good view to the St. Stephen Basilica and to the hills of the Buda side. The rooms are equipped with wardrobe, table and chairs, bedside tables, reading lights and big mirrors on the walls, and as an extra there is a separately controlled air-conditioning. If you need more privacy choose one of our apartments. This is a budget apartment, located on the grand floor. It has all amenities what you need during your short stay: bedroom, livingroom with pull-out sofa, dining area, small kitchen, small bahtroom, free WIFI. It's ideal for overnight after a long day of sightseeing. 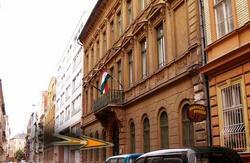 Deluxe apartment: NEW, located in the Buda Castle! THIS APARTMENT HAS DIFFERENT LOCATION THAN THE HOSTEL. Our newest apartment is a recently renovated, lovely studio in the heart of Buda Castle, the historical part of Budapest. Buda Castle is a self-contained little town in the city of Budapest, and as such, it has everything you may need within a few minutes' walk. The apartment is located in a quiet street, in a residential building. 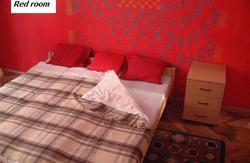 It is recently renovated, equipped with all you need to have a starting point for a nice city break. There is a small, but well equipped kitchen, a bedroom with a double bed, a living room with dining area, a bathroom with shower and toilet. Our friendly staff will happily answer your questions even prior arrival, and help you to make your stay as memorable as possible. Our property and apartments are not a party place. You can enjoy the nightlife and clubbing close to the property, but NOT in the property. It also means this is the right place for you if you need relaxation after a long day or a hard night. We are only one block from the Nyugati Train Station, which is a metro stop as well on the blue line. Coming from the metro take the escalator going to the Nyugati Ter, not the one going to the train station (signed by a train).On the top of the escalator turn right and follow the sign 'Szent Istvan krt'. Once you are on the street, walk to the end of the block where you will find #24 on the right (actually it's the corner of Szent Istvan korut and Visegradi utca). Ring #29 on the doorbell and we will welcome you with great hospitality. Take bus #200 and travel to its last stop (KOBANYA-KISPEST), which is the end of the blue metro line. You need to take the metro and travel to NYUGATI PALYAUDVAR (12.stop) from which you only need to walk less than 100 meters. You need to take the red metro in the direction of DELI PALYAUDVAR and travel to DEAK TER (3.stop) where you need to change to the blue line and travel to NYUGATI PALYAUDVAR (2.stop). Take the blue line metro to NYUGATI PALYAUDVAR (8.stop) in the direction of UJPEST KOZPONT .